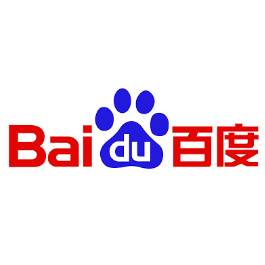 Baidu provides Internet search services in China and internationally, and Baidu Research brings together global research talent to work on AI technologies in areas such as image recognition, speech recognition, high performance computing, natural language processing and deep learning. Baidu Research comprises four labs: the Silicon Valley AI Lab, the Institute of Deep Learning, the Big Data Lab and the Augmented Reality Lab. Baidu is a Chinese language search engine that includes 57 search and community services including Baidu Baike (an online, collaboratively-built encyclopedia) and a searchable, keyword-based discussion forum. To provide intelligent, relevant search results for the tens of billions of queries that are entered into our search platform every day, we focus on powering the best technology optimized for up-to-date local tastes and preferences. Our deep understanding of Chinese language and culture is central to our success and this kind of knowledge allows us to tailor our search technology for our users’ needs. Deep Voice is a production-quality text-to-speech system constructed entirely from deep neural networks.Unlike alternative neural text-to-speech (TTS) systems, Deep Voice runs in real-time, synthesizing audio as fast as it needs to be played, making it usable for interactive applications like media and conversational interfaces. By training deep neural networks capable of learning from large amounts of data and simple features (rather than custom-designed hand-engineered pipelines), we created an incredibly flexible system for high-quality voice synthesis in real time.